Participants will learn in this workshop how to create copper accessories pieces from yellow brass wire. By the end of the workshop, they will be able to make rings, bracelets, necklaces, and earrings using innovative methods inspired by the Egyptian heritage. Kamel Richard is a Franco-Egyptian Dentist, who is passionate about the Copper Brass Fabrication and Jewelry. 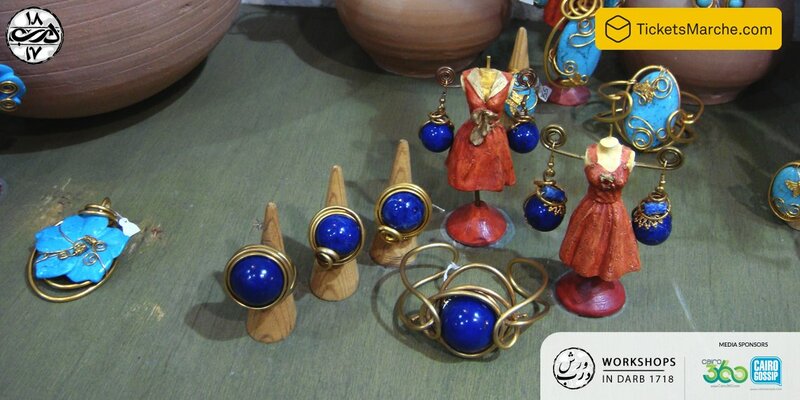 He studies pharaonic history of jewelry and working on advertising his brand “Louly”.